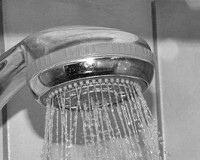 You are here: Home › Do showers make you brilliant? For a while now, I’ve been trying to figure out the answer to how to do something specific on the website. I thought. And I thought. Then, I finally figured it out. As usual for me, it just took getting clean. I wonder…do you get your best ideas, your breakthrough moments, in the shower too? I don’t know what it is about a nice hot shower, but I’ve found that throughout my life, I’ve gotten some amazing breakthroughs in thinking by simply getting clean. Experts will tell you that isolation from distractions, no expectation of results or deliverables, and a whole host of other reasons contribute to the extra special space that a shower becomes for our thinking and reasoning. So, the next time you’re stumped, jump in the shower and see if that doesn’t jump start your brain. I take notes right on my shower’s glass door. I went online and found the old-school china markers that I used to use when I was a hotshot reel-to-reel audio editor and used them to mark the tape before slicing with a razor. Thank god someone invented digital audio editors. Anyway, the latest idea came to me the other morning, and I’m really happy with what I’ve been able to accomplish on this. 6 Responses to Do showers make you brilliant? Showers have always been great for inspiration to strike. I also often get struck by something when I’m lying in bed trying to go to sleep. Which usually results in being unable to sleep until I get up and do something to start enacting whatever the idea is. I agree. I think it has something to do with 1. The comfort, and 2. The white noise. 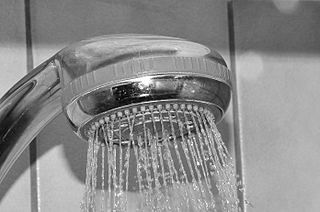 Especially for those of us that are auditory learners/ processors the shower is one of the few places we can think clearly without our attention being grabbed by every media device or conversation going on around us. Well, I’ll chime in as a yogi. When you relax, you change your brainwaves from beta waves to alpha waves. There are some awesome tricks to doing this any time you want simply by changing your breathing to specific paces and inhale and exhale ratios. That’s the yogic science called pranayama. Whether you know it or not, the hot warmth and isolation of the shower, where there seems there’s not another thing you can do in the world, is changing your breathing. That’s why it works. Practice pranayama and In the process, regulate your blood pressure, bio-chemicals, immune system and so, so much more. It’s so simple and so easy. Whatever gets you there is great, but if you want a lesson on how to do this at will, ask David for my email address or phone number. I’ve taught 1 million people to do this via my DVDs, so I’m certain you can learn it, too. And for something even yummier, become proficient in the beta to alpha waves transition, and really go genius with theta waves.